The nineteen co-sponsors of tonight’s talk represent a unique partnership of local businesses, affordable housing advocates, farmers, youth, environmental groups, and cultural organizations. It is a combination that, although not often seen together on the national stage, does reflect the kind of spirit of cooperation found here in the Southern Berkshires, a combination that has shaped the vitality of our local economy and is the key to its future vitality. Local partnerships such as this, not guns, are essential to our Berkshire homeland security. 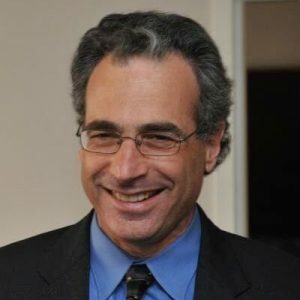 Michael Shuman stands out as a nationally acclaimed author and lawyer who sees how all these individual local initiatives fit together in shaping a new economy and new society. He is in fact a strategist for this shaping. He knows, for instance, that philanthropic activity must be altered to support the multiple issues of community building, and he is willing to confront philanthropic foundations on this point. He also knows that our traditional sense of right-left politics must be turned inside out in order to think creatively about the future. He dares to walk in both camps to make this point. As a lawyer he is savvy about issues of corporate structure, standing firmly for democratic process as we design new economic institutions accountable to the earth and its inhabitants. Michael Shuman is the author of Going Local: Creating Self-Reliant Communities in a Global Age. He has written more than one hundred articles for periodicals such as The New York Times, The Washington Post, The Nation, The Weekly Standard, Foreign Policy, and Parade. From 1992 to 1998 he directed the Institute for Policy Studies in Washington, D.C. He is currently developing a socially responsible poultry company in Maryland called Bay Friendly Chicken. And, we are proud to say, Michael is a valued member of the advisory board of the Schumacher Center for a New Economics. Please join me in welcoming Michael Shuman. I would like to extend my thanks to the sponsors of tonight’s event, particularly the Community Land Trust of the Southern Berkshires and the Schumacher Center for a New Economics. One of the things I have appreciated about the work of these organizations—your organizations—is that you not only talk the talk, you walk the walk. You have taken initiatives that are cutting edge, not only for the region but for the nation and for the entire world. You have much to be proud of, and the leadership of Susan Witt, as Executive Director of the Schumacher Center, is one big reason for your impressive accomplishments. My own involvement with E. F. Schumacher goes back to my sophomore year at Stanford University when I took a seminar on alternative economics, read Small Is Beautiful, and was inspired to “stop out” of school for eighteen months to figure out how to integrate the lessons in that wonderful book into my soon-to-be-declared international relations major. This evening I would like to make four basic points: 1) LOIS is a better woman for economic development than TINA; 2) LOIS is more competitive than most of us think; 3) If we take LOIS seriously, she can help us make the term “economic development” worthy of the name; and 4) There are several practical steps you can and should take here and now, beyond the many groundbreaking activities you are already involved in. To understand why LOIS is better than TINA we should start by asking what we mean by sustainable development and sustainable business. In my view there are three key questions swirling around sustainability: What? How? Who? What are you producing? Are you producing pet rocks and Gattling guns, or are you producing healthy food and clean energy for your community? How are you producing these items? Does your business comport with high labor and environmental standards that you can be proud of? And who owns this business? The discourse about sustainability has focused on the what and the how—but not at all on the who. For example, you can read through eight years of documents from Bill Clinton’s Presidential Council on Sustainable Development and not find the issue of ownership ever mentioned. If you don’t address ownership, achieving sustainable development is virtually impossible. The main reason is capital mobility. Globalization has meant that a diminishing number of ever larger corporations are being lured to a diminishing number of communities around the world, and these communities are engaged in a fierce bidding war with one another that has led them to offer larger and larger bribes. Just to share one of hundreds of examples: About ten years ago BMW came to the United States to build an auto plant that would provide two thousand jobs. The state of Nebraska said, “We can give you $100 million worth of tax abatements, capital improvements, and bonds.” Then the state of South Carolina countered, “We can do better than that: We’ll give you $150 million, and not only that—we are a low-wage, non-union state.” That did the trick. BMW went to South Carolina. One hundred fifty million dollars for two thousand jobs. Our eyebrows went up in the 1980s when communities were paying bribes on the order of $25,000 or $50,000 per job. Now the bidding is exceeding $400,000 or $500,000 per job, which of course raises serious questions about what it means to “win” this contest. Many other once immobile companies are now demanding to get in on the game and saying, “Gee, even though we’ve been in this town for a while, give us a perk or we’re leaving.” There are stunning examples of this: When the New York Stock Exchange threatened to move to New Jersey or Connecticut, New York City gave it nearly $1 billion to stay put. When Disneyland threatened to move out of Anaheim, it was given $1 billion by the state of California and the city of Anaheim. Clearly, the communities paying this level of extortion are big-time financial losers. But all communities are losing, in a more profound way. In the BMW example, the community chosen was the one with lower environmental and labor standards. Any community trying to attract or retain TINA faces a terrible dilemma: Imposing a higher standard on business now hurts your business climate. Raise the minimum wage here in Massachusetts and existing TINA businesses are going to move away, while others will never locate in the state in the first place. What can we do if every act to improve the business climate reduces our quality of life? I believe that the only way out of this dilemma is to embrace LOIS. The more of your economy that is locally owned, the more plausibly you can then raise labor and environmental standards with confidence that businesses will adapt rather than flee. The anchoring of local business brings several other benefits: Local businesses without ambitions to move to Mexico or Malaysia reliably generate benefits for a community economy for years, often for generations. Local businesses are not likely to suddenly depart and punch a hole in your economy. And these businesses actually have more wiggle room to succeed than do nonlocals. Let me elaborate on this last point. About twenty years ago the city of Herkimer, New York, was about to lose its main employer, the Library Bureau, a subsidiary of the Sperry Rand Corporation. Sperry Rand had announced that all their subsidiaries had to achieve a 22 percent rate of annual return on investment. The Library Bureau didn’t hit that mark, so Sperry Rand decided to shut it down, lamenting the anticipated devastation to Herkimer as a regrettable but necessary business decision. Remarkably, the workforce and the local politicians came together and with a little bit of federal help bought the plant from Sperry Rand. The Library Bureau continued to operate for another ten years. It didn’t achieve a 22 percent rate of return on investment, but it did average 17 percent. That was not good enough for Sperry Rand, the distant owner seeking to maximize its rate of return, but it was good enough for the community owners. Frankly, even a 1 percent rate of return would have been good enough for the Herkimer consortium. This is a fundamental point economists miss: A community will rationally retain many businesses that distant owners might otherwise shut down, because a low rate of return locally is better than a high rate of return in, say, China. Local ownership, of course, can come in many different flavors. Half of the private sector is made up of small businesses, and nearly all of these are probably locally owned. There are 47,000 successful cooperatives in the United States that are locally owned. Add to that the 6.5 percent of the economy that is nonprofit (mostly local hospitals and universities) and 6,300 municipally owned enterprises. There are more than 10,000 employee stock-ownership-plan companies, some 2,500 of which are majority held by their workforce and rooted in their communities. My favorite design for a locally owned company is the creation of stock with place-based restrictions. To own shares from the first issue of the Ben & Jerry Company you had to be a resident of Vermont. Unfortunately Ben & Jerry softened the residential requirement for subsequent stock offerings, which enabled Unilever to buy the company out and sever its local ties. Another example of local stock is the Green Bay Packers, the only team in the National Football League not owned by a single individual. Instead, it is owned primarily by the residents of Wisconsin. Many years ago the team raised funds for its operations and a stadium by selling shares to residents for $25 each. Today, the thousands of local shareholders elect the board, which means that there will never be, say, Baltimore Packers. Nor will the Green Bay Packers even threaten to leave the city for a new stadium, because local ownership roots the team in the community in perpetuity. Now, if a football team can, through local ownership, become a reliable building block of a community economy, why not stores and factories? Why not farms? Why not banks? Let’s turn now to the IS part of LOIS. Import substitution is just a fancy term used by economists to describe how to increase self-reliance. The more self-reliant you are and the more goods and services you produce for yourself, the less dependent you are on imports. Here is another point that most trade-obsessed economists don’t get: If you can make something cost effectively in your own backyard, it almost never makes sense to import it. And every unnecessary import carries at least three dangers. The first is that you’re vulnerable to factors totally outside your control. Import a lot of oil? Now you are vulnerable to Arab sheikdoms and have to pursue a foreign policy that requires extensive military deployments and invites blowback in the form of 9/11 types of terrorism. Dependent on meat imports? Welcome to the world of mad cow disease. The second problem with unnecessary imports is that you lose the fundamental driving force of your economy called the “economic multiplier.” In a strong local economy each transaction multiplies many times over. When you buy a dollar’s worth of apples from a local farmer, the farmer in turn spends the dollar at a local hardware store, the hardware-store owner uses that dollar to pay her employees, and the money circulates again. The more times a dollar is spent in the community and the faster it circulates without leaving the area, the more income, wealth, and jobs it generates. If you are importing apples rather than growing them yourself, what happens? Well, if you buy apples from a mail-order house in Seattle, all of those multiplier effects migrate to farmers and their linkages in Washington state. A third problem with unnecessary imports is that they cause damage to your public sector. Most of the time each multiplier transaction has some kind of tax associated with it: property taxes, income taxes, user taxes. In my apple example, when the multiplier moves to Washington state, the tax revenue largely moves there as well. You can’t even tax the sale itself because the U. S. Constitution forbids local taxation on interstate commerce. So let’s restate the LOIS philosophy in a more positive way: The more you can produce locally through locally owned businesses, then the more you can minimize your vulnerability to nasty surprises, the more you can maximize your economic multiplier, and the more you can maximize tax proceeds to the public sector and the many good things that come from it. A study called “The Leaky Bucket” that was conducted in Vermont suggests the powerful implications of this kind of analysis. (“Leaky” refers to the fact that every unnecessary import represents dollars flowing out of the local economy instead of generating multiplier benefits.) The study looked at some of Vermonters’ greatest import dependencies and found that residents in this agrarian state consume more than $2 billion worth of food annually. Even though the state is rich in energy derived from solar, wind, wood, and water, Vermonters still import $1 billion of fuels and electricity each year. One of the smaller leaks in the bucket concerns interest payments on credit cards. Most residents hold credit cards issued by out-of-state banks and pay those banks more than $200 million a year. This is pure waste. Besides losing $200 million of economic activity, the state loses all the associated multiplier and tax revenues. Vermonters learned something very important from the report: that a tremendous economic boost could be gained if more local banks were to issue local credit cards. Now I want to clarify one feature of LOIS. Those of you familiar with the writings of Jane Jacobs will recall her argument that import-replacing development does not mean cutting yourself off from the rest of the world. A healthy LOIS economy may well wind up with a greater level of exports than a TINA economy. How can that be? Suppose North Dakota found itself dependent on imports of electricity. Because it has an especially good wind resource, it might decide to become energy independent by building hundreds or even thousands of windmills, with the result that it no longer depended on imported electricity. But now it is dependent on importation of wind machines. So it creates a windmill industry and becomes dependent on imports of metal and machine parts. And so forth. This process never ends. As you become more self-reliant, you inevitably develop new dependencies. But in the process of systematically becoming more self-reliant the economy also becomes more diversified, which multiplies into expansions of all kinds of business, including those focused on exports. Despite all the mergers we’ve seen in the banking sector, most studies have found that small and regional banks have greater efficiencies than national and global banks. They have lower administrative overheads, charge less in fees, pay more interest on savings accounts, and charge less interest on credit cards. We used to think that energy had to come from gigawatt-scale coal or nuclear plants. But now we are moving toward an era in which the predominant supplies of electricity will come from regional windmills and rooftop photovoltaics, not to mention house-by-house and office-by-office energy efficiency measures. The way we used to get strategically important minerals and metals was to send giant multinational companies into Latin America or Africa to dig up mountainsides and bring the raw materials back to the United States for smelting and the like. Now the more cost-effective approaches to obtaining these materials are through regional recycling, reuse, and remanufacturing. You might think that these examples are anomalies. But let’s look at ten good reasons why, despite all the hoopla around globalization, the economies of scale of many firms are shrinking. Plummeting Inefficiencies of Global Distribution: Globalization may sometimes increase the efficiency of production, but one of its well-kept secrets is how inefficient it has become for distribution. Food is a good example. When someone bought a dollar’s worth of food in the year 1900, roughly 40 cents went to the farmer, and the rest went to outside inputs and marketing. By 1990 the farmer got 9 cents on the dollar, and 67 cents went to marketing. What I mean by marketing is advertising, transportation, refrigeration, middle people, the supermarket’s markup—none of which bears any direct relationship to food. The intriguing thing about these numbers is that small-scale farming, even if very costly, can generate cheaper food when it links directly to the consumer and eliminates much of the 67 cents of marketing expense. This helps explain why we’re seeing a proliferation of community-supported agriculture (CSA) arrangements, urban farming, and farmers’ markets all around the country. Rising Energy Costs: Exacerbating the inefficiencies of global distribution are rising energy costs. In recent years the price of oil has more than tripled, and I suspect that with our continuing military entanglements in the Mideast, energy prices are soon going to rise considerably more. This is great news for community economies because a linchpin of globalization has been unduly cheap shipping. As higher energy costs drive up the cost of shipping, local producers will realize a competitive advantage over global producers who are shipping goods from places as far away as China. Higher energy prices will confer other local economic benefits as well. Energy conservation—an inherently local activity—will be more widely and regularly practiced. We will see a shift from a global petrochemical-based economy to a local carbohydrate-based economy. Increasingly, agricultural and forestry waste will become the feedstock for biorefineries that churn out dyes, fertilizers, and plastics. One of the advantages of biochemicals, by the way, is that because they are best made from forestry and agricultural wastes, they lend themselves to local processing. It’s simply not economic to haul these heavy wastes hundreds of miles to centralized refineries. This means that every rural county around the country has the potential of developing a whole new manufacturing sector built around biochemicals. Spreading Environmentalism: Another factor that will worsen the inefficiencies of global distribution is a growing environmental consciousness worldwide. Hundreds of millions of us who care about the harmful side effects of fossil fuels, such as global warming, will increasingly insist on taxing oil and gasoline and coal. As we put green taxes on nonrenewable resource use, the costs of shipping are going to rise even higher, and the competitive outlook for local production with minimal shipping will become even better. Expanding Niche Markets: Firms can increasingly intuit, design, manufacture flexibly, and deliver just-in-time goods and services needed locally, and no one who is based one or two thousand miles away is likely to do it better. This explains why we’re seeing a proliferation of microbreweries, whose owners are intimately familiar with local tastes. It also explains why the economics of local banking work so well—because a real relationship between a loan officer and a borrower can foster the smartest decisions about creditworthiness. Emerging Irrelevance of Size: What enables a local economy to succeed these days is not brawn but brains. The biggest communities don’t win; the smartest do. That is why Silicon Valley and Route 128 in Boston have done so well. The biggest machines don’t win either. My laptop computer can now hold the equivalent of what used to be an accounting department, a design department, and a secretarial department, which enables me to run a home-based business without needing expensive staff, overhead, and commercial office space. Even where larger economies of scale are needed, a smart community can realize them by linking its LOIS enterprises with those of neighboring communities, perhaps through flexible manufacturing networks. This is the way that several tens of thousands of family-scale businesses in northern Italy have profitably produced every conceivable complex product, from robots to coffeemakers to rocket engines. Declining Legitimacy of Subsidies: Who gets the lion’s share of business subsidies today? Big oil, big nuclear, big water, big cattle, big timber, big mining—all TINA companies. Almost nothing goes to LOIS. The good news is that there is a growing movement, involving activists across the political spectrum, to eliminate these subsidies. Every year a coalition in Washington, D.C., called the Green Scissors Campaign—led by Friends of the Earth on the left and the National Taxpayers Union on the right—puts out a report identifying tens of billions of dollars in subsidies that are simultaneously bad for the taxpayer and bad for the environment. As these movements prune away TINA subsidies, small businesses will increasingly flourish. Proliferating Localist Movements: Millions of consumers, perhaps recognizing the myriad advantages of LOIS, are now promoting local purchasing. There are some two or three thousand local money experiments worldwide. The unifying objective of these social inventions is to help consumers buy local. One of the advantages of local currency is that Wal-Mart will never accept it because the Wal-Mart mission is to systematically pump money out of your community and into the pockets of the Walton family in Bentonville, Arkansas. Growing Interest in Workplace Quality: Another trend afflicting large companies is that they are becoming unpleasant places to work. To many of the best and brightest in our society, small businesses offer much more exciting, innovative, interesting, and caring workplaces—even if they don’t pay as much as their TINA counterparts. Many of us are finding that the ideal way to blend work, play, and family is through a home-based small business. Something like twenty million Americans, including me, are now working in home-based businesses, double the number from ten years ago. These ten trends do not mean small and local are always the most competitive scale, for against these decentralizing trends must be balanced the traditional reasons many businesses seek to grow. But taken together, they do suggest that we need to discard all those old studies which claimed that competitive manufacturers had to be large and nonlocal, or that competitive cities had be populous and impersonal. Because scale issues are shifting so dramatically in so many different areas of the economy and new horizons for local business are opening up so quickly, our problem is not that LOIS isn’t competitive but that we don’t know how to mobilize our skills, capital, and ingenuity fast enough to take advantage of LOIS’s increasing opportunities. This brings me to the third part of my remarks, which is to consider the implications of LOIS’s desirability and competitiveness for economic development. Let me make six observations. The TINA Bias of Economic Development: Almost everything being done in the name of economic development these days makes no sense. Around the country, most economic development boils down to mobilizing subsidies to attract or retain TINA. The rest is focused on various boondoggles like stadiums, football teams, casinos, big shopping malls, convention centers, big theaters, or downtown redevelopment. The problem with almost all of these white-elephant projects is that they rarely are locally owned—nor are the companies contracted to build them locally owned. Even worse, citizens often have no idea what their own communities’ economic development departments are really doing. I have not been able to find a single study in this country that systematically looks at all the subsidies a local government has given to business—all the grants, loans, loan guarantees, tax-exempt bonds, capital improvements, tax abatements, and mayors’ junkets abroad. My intuition tells me that once such a study is done, a community will have a revolution on its hands. People will be outraged. They will be stunned to learn the extent to which economic development has neglected LOIS. This needs to change. The next time a TINA-obsessed mayor proposes $100,000 per job to convince Toshiba to locate a plant there, a watchdog group should demand that the local government find out what kinds of jobs the small-business community can deliver for, say, $99,000. The Importance of Measuring Leakage: When it comes to economic development, most communities are flying blind. Remember Vermont’s study on its import dependencies? You would think that most communities would have done similar assessments. The value of figuring out how much money is leaking out of your economy is obvious: You can target economic development initiatives on precisely those businesses that plug the biggest leaks and thereby best pump up the local economic multiplier. There are 36,000 communities in the United States, yet—stunningly—a leakage study has been done by only about a half-dozen of them. If you have not done a serious leakage assessment, how can you possibly know whether your development priorities are sensible? The Absence of a Real Model: There is no community in the United States, or even in the world, that is pursuing LOIS in a comprehensive way. On the basis of what I have heard from Susan Witt and others, I would give the Berkshires a B- for its work. Since most communities are in the D- range, you are well ahead of the pack, but there is much more that can and should be done here. Every community should be creating LOIS-friendly business schools, assessing local green taxes that foster LOIS businesses, seeding community-owned banks, and setting up community-focused mutual funds. We should be urging our local governments to selectively invest municipal employee pension funds locally and to selectively contract with local businesses. We should underwrite these innovations by reallocating subsidies now being wasted on propping up otherwise uncompetitive TINA companies. The Hyping of Regionalism: My earlier discussion of scale suggests that “regionalism” is being oversold these days. Most urban studies and planning schools have become “regionaholics”—despite there being almost no elected regional governments in the United States. Regional governance typically consists of backdoor TINA deals supposedly made in the interest of the citizens but actually representing a clever end-run around democratic economic policymaking at the local, city, county, and state levels. Ultimately, our economic problems can be solved only when each and every community, both on its own and in regional collaborations, maximizes local self-reliance through more numerous and more competitive LOIS enterprises. We need to have successful businesses integrated into every neighborhood, and as global trends continue to shrink, opportunities to achieve this will multiply. Beware Political Extremes: I am increasingly skeptical of economic development solutions that please only the left or right. Like many fellow progressives, I was once viscerally anti-business, a position I now see as embarrassingly shortsighted. We should be careful to distinguish between Enron and the local hardware store. At the same time, I think that many folks on the right are too uncritically pro-business and have not paid sufficient attention to the labor and environmental concerns I raised earlier. We need to marry the best thinking of the left and right, deploying the principles and practice of LOIS to create a new kind of community consensus. Trade rules should apply equally to local governmental bodies and to private companies. Whatever the international rules governing labor and the environment are, a community should be permitted to put more stringent rules in place as long as they are applied to local and nonlocal companies in a nondiscriminatory way. A local government, just like a private company, should be permitted to invest selectively in LOIS businesses or to choose not to buy goods and services from shady TINA firms involved in, say, dictatorial Burma. Subsidies are usually pretty stupid, but if a local government wants to subsidize certain things, it should be able to do so, unless the subsidies violate the antitrust standard for predatory behavior. Self-reliance should be deemed a legitimate goal for local legislation. This would allow your state, for example, to put labels on your products saying “Made in Massachusetts” to encourage people to buy locally. Local governments should be able to play a bigger part in this global trading system. They should be able to sue directly anyone who has broken the rules and be suable if they break the rules themselves. It’s easy to show that these principles are wholly consistent with a robust trading system because these are the very principles that have defined internal trade among the states over the past two hundred years (through the “Commerce Clause” jurisprudence developed by U. S. courts). No one can argue with a straight face that these principles have held back the U. S. economy. What’s disconcerting is that none of them is embraced by the World Trade Organization (WTO). The WTO has shaped its rules to serve TINA, not LOIS. We need to modify these rules so that they look more like the successful community-friendly trade rules within the United States. Or we will need to scrap the WTO and start all over again. A footnote to the discussion of free trade: If economies of scale are shrinking, we may well be at the high watermark of globalization. As trade becomes less important and as community-to-community partnerships promoting self-reliance become more central, much of the angst felt today over the Bretton-Woods institutions may begin to dissipate. I want to close with four simple projects you can undertake to turn the vision of a LOIS economy into a practical reality here in the Berkshires. A Local Business Directory: Prepare a directory of all locally owned businesses in your area. I’ve done this for Annapolis, the capital of Maryland. A directory enables consumers to identify and patronize those businesses that are locally owned. It helps local businesses buy inputs from other local businesses and provides activists with the information they need to create a local currency or buy-local campaign. An Assets Inventory: Inventory all the assets in your community that could be used for more small-business creation or expansion. Assets, of course, aren’t just positives; they also can be negatives reframed as potential positives. The unemployed are potentially employable people. Fallow land is potentially usable land. Abandoned buildings are potentially reoccupied buildings. These assets should be catalogued and presented to expansion-minded local entrepreneurs. A Leakage Analysis: Put together an import-dependency study like the one done for Vermont. A Subsidy Assessment: A serious study of local business subsidies can help you shame state and local government to stop subsidizing the wrong TINA things or, perhaps, to shift them to the right LOIS things. You have the ability to do these four tasks relatively quickly and inexpensively, thereby raising your grade from B- to A. As you consider taking these steps, let’s review the key points I’ve made this evening. LOIS is almost always preferable to TINA. Because economies of scale are shrinking, the opportunities for expanding existing LOIS enterprises or starting new ones are expanding. If you overhaul your economic development policy to take advantage of these opportunities, especially if you can redirect TINA subsidies to LOIS strategies, you can make a lot happen quickly. The first steps might include preparing a buy-local directory, an inventory of your assets, a study of import dependencies, and an assessment of local subsidies. In modern times there have been great epochal changes in each century. The eighteenth century was a time when we dethroned monarchs in favor of democracy. The nineteenth century witnessed the end of slavery. The twentieth century was the century of human rights, defending the rights of women, of people of color, of ethnicities, of minorities in general. It is my belief that the twenty-first century will determine who wins the fundamental struggle between cheap goods and place, between the protection of private bottom lines and the protection of families, communities, and the environment. Unfortunately, if we look at the politics of our own country right now, it is obvious that both major parties are on the side of cheap goods, Wal-Mart, and the next sale at the shopping mall. I’m optimistic that the American people are ultimately going to disavow that view and will become advocates for the well-being of families, communities, and ecosystems. Our role is to show them the right way. Each one of us has to do what we can in our own manner to help bring about this change. And as Gandhi observed, everything you do is insignificant – yet it’s still very important that you do it. Q: I have a feeling that the popularity of and increase in on-line buying through the internet is a threat to the trend you see for small locally owned businesses. Do you agree? A: I think the internet is both a threat and a boon to LOIS. The first wave of internet use was clearly bad for local economies in two ways: first, it deprived localities of the tax revenues from sales that many depend on; second, the internet was quickly taken over by large operators like Amazon and E-Bay that were not linked with place and encouraged nonlocal buying and selling. The second wave of internet use, which we’re witnessing now, shows signs of becoming more community friendly. Small companies are increasingly figuring out how to use the Web to undertake local marketing and make local sales. It won’t be long before someone creates a company called Small-Mart.com, which compares chain-store goods and systematically tries to find you the most competitive deals at local stores. Someone might then actually do the shopping for you and deliver the cheapest local goods to your doorstep in a few hours. The point is to help local businesses beat chains like Wal-Mart. It might be a variant on Peapod.com, a commercially successful grocery delivery service. I have seen a number of internet business plans that aim to help consumers harness the internet to find the best local deals. Just remember that the internet is a tool, and if economies of scale are shrinking, then that tool ultimately will enable small players to find great deals from LOIS businesses. Q: What kind of forum or mechanisms do you see as being able to take on the four initiatives you suggested to the community? A: In Annapolis I developed a working alliance with a prominent community development group. Annapolis is a city with few such groups, so the effort was relatively difficult. By comparison, the number of groups represented here tonight is huge, and working together you could create a directory more easily. I would then ask your town or county to let you use its official hearings space once a month to add legitimacy as you gather data on assets, leakages, and subsidies. Some things may require a little bit of outside help, but for the most part you have an incredible critical mass of talent here. Q: I’ve been involved in assembling this kind of directory. A problem arises because many of our small local businesses are underneath the radar screen and want to stay that way. There are people working in their homes in ways that are not legal; some of them are not paying taxes. They don’t want to be found out. What do you suggest doing about that? A: I certainly wouldn’t want to out a business that didn’t want to be outed. That would be counterproductive. Let me share, though, one of the practical things I did to identify local businesses among the vast majority who do wish to be visible. I am besieged by hundreds of pieces of junk mail and e-mail every day, as I’m sure you are too. Most of it I throw out, but something came along about a month ago offering an electronic Yellow Pages for the United States for $200. I immediately bought it, and now I have an Access data base with every business listed in the Yellow Pages. For the price of a bulk letter, I then sent a survey to every business in Annapolis to begin sorting out who is and who isn’t locally owned. It’s an easy way to start. Q: What will the impact of the Enron debacle be on the paradigm shift to localization? A: This unfolding tragedy reinforces for those of us who mistrust large, faceless corporations all our concerns about TINA. It underscores that big companies promising big results through smoke and mirrors are a lot less reliable than a specific small business whose manager you know, whose products you can see, whose practices you trust. I am hopeful that there will now be serious reforms of accounting laws, tax laws, and, although not quickly, corporate laws—all of which could benefit small companies that play by the rules. Let me add that even though Enron made a lot of its money in energy trading, I don’t think we should draw the conclusion that the replacement of public monopolies with more market-based energy systems is wrong. Public utilities have been some of the worst businesses in terms of environment and labor. I don’t think it’s necessarily a bad idea for companies like Pacific Gas & Electric and Southern California Edison to be broken up. But the Enron scandal does underscore that it requires a lot of work for a state and a locality to make the rules of energy trading work, because there is no such thing as an automatically free market. Any market must have rules—regarding contracts, regarding property, regarding how people come together, regarding taxes and accounting—and these rules need to be crafted carefully if local markets are going to work. Q: From the retailing point of view Wal-Mart is supposedly the second largest corporation in America right now. It has a 10 percent advantage in getting products from manufacturers to its shelves. How can a small retailer even come close to matching the prices that Wal-Mart offers? A: I think the jury is still out on whether Wal-Mart’s prices are uniformly lower. I’ve been trying to find product-by-product studies proving that Wal-Mart’s goods are cheaper, and I have yet to find anything compelling. I’ve talked to Stacy Mitchell, who wrote a book on chain stores for the Institute for Local Self-Reliance called The Hometown Economy, and she hasn’t found any such data either. There is evidence that Wal-Mart has a good deal of price differentiation from store to store, which enables the corporate giant to systematically figure out what the local prices are and undercut them. Often, after Wal-Mart has built its store and knocked out local competitors, it will then close the store to force you to drive farther to a Super Wal-Mart, which can now raise prices because all the competition in the region has been decimated. This is highly predatory behavior, and I think we will need to study more closely its price impact—as well as its legality. Many people go to Wal-Mart not as much because of lower prices as for the convenience of being able to buy many different things under one roof. This is why the Small-Mart.com idea I mentioned earlier may offer an interesting local business opportunity. Moreover, probably all the people sitting in this room and 25 percent of your community would be willing to spend as much as 10 percent more to purchase locally if such shopping were easier and you didn’t have to drive around in your car to many different local outlets. Q: You encourage people to strengthen their local economies, but a community-development movement for self-reliance is not sufficient to effect all the kinds of monetary change we are looking for. It’s not the whole picture. Doesn’t there have to be a global coalition of people—some who do one part, some who do another? How do you bring that coalition about? A: I’ve spent probably half my life trying to figure out how communities can get involved in international affairs, and only recently have I become more focused on how communities can insulate themselves from the most undesirable parts of international affairs. The best way to bring about successful global change, I believe, is for your community to become as self-reliant as possible. A strong local economy then becomes a sturdy trampoline that you can use to bounce yourself into international affairs more powerfully. There are a hundred ways communities around the world can and should work together that are unrelated to trade—such as grassroots exchanges, tourism, conversations, and technology assistance. People always ask whether self-reliance will hurt poor people in the Third World who pick bananas or mine copper and then export these goods to us. Because most so-called Third World communities are actually net importers of resources and capital, replacing those trade relationships with more equal nontrade relationships probably would be very beneficial to them. Fifteen or twenty years ago the city-state of Bremen in Germany helped start a European campaign called “From Charity to Justice.” Bremen entered partnerships with communities in Malawi and India and China, built biogas digesters, and gave them away to their partners free of charge. Bremen’s goal is to give partners technology that improves their level of self-reliance. That to me is a much more interesting paradigm for global development than to hawk the siting of a division of General Motors in a Nigerian sister city. Also remember that there is a causal relationship between conflict and economic development. The more that communities here become self-reliant, the less there is to fight about. There may always be unbridgeable ideological differences between nations, but if we systematically resolve as many of the material conflicts over oil, water, land, resources, and poverty as we can, we will make a very important contribution to world peace. Q: I agree philosophically with what you say, but you assume that local businesses treat their workers and their customers better than large ones. I believe that’s the ideal but not necessarily the case. A: I think we can show empirically that this is the case. Regarding workers, I pointed out earlier that more and more talented people are defecting from large firms—some by choice, some not—and moving to smaller-scale enterprises. This tells us something. Yes, studies done over the past generation suggest that people who work in small business have lower wages and fewer benefits than those who work in large business, but the recent literature suggests that these differences are narrowing. Moreover, small businesses usually grow over time. A two-person firm that today has no benefits and very low wages may in five years become a place where ten people are working with decent wages, good working conditions, generous benefits, and—most importantly—shares of ownership. So when you start adding the longitudinal issues, which many studies haven’t done, then you see that the benefit and wage levels between large and small businesses actually are not very different. In terms of consumer treatment, I think you can find good and bad players in all kinds of business. The key point is that a small business inherently has a greater ability than a large one to understand the nuances of a local market. There is no way that General Mills is ever going to make bagels for taste-savvy New Yorkers. Nor is a big pizza chain like Uno’s going to take over the little neighborhood pizzerias in Brooklyn. People know the difference. But you are right, not every small firm is acting intelligently, so we need to push them to do better.